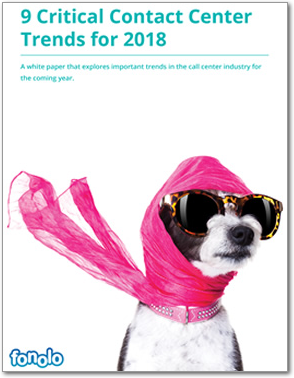 This coming year, several key trends are poised to make a significant impact on contact centers around the globe. Some of these have transitioned from being “nice-to-haves” to being essential, while others are brand new and expected to play a substantial role. Ultimately, every call center needs to make decisions from the perspective of their customers. Here are trends for 2018 that are sure to shake up the industry. How would you feel if 45% of your customers switched to a competitor who charged more for an equivalent product, simply because of a better customer experience? It’s a scary thought, however it’s the reality these days. According to this Customer Experience Executive Report, customers place a premium on great experiences and 63% of them would pay more for a better experience. Contact center leaders understand the value of the customer experience, and in 2017 they stepped up their game. The Temkin Group’s 2017 Customer Experience study showed a severe decline in customer experience ratings from 2015 to 2016, but the number of companies that scored ‘good’ or ‘excellent’ increased from 18% in 2016 to 38% in 2017 – the highest rating ever. Companies have come to realize that the customer experience has a direct effect on loyalty and, accordingly, the trend is expected to continue in and beyond 2018. Any discussion about multi-channel successes has to touch upon the importance of consistency – something that’s all too often neglected. Let’s get back to basics and define what we mean by “consistent”: The idea is that regardless of the channel (email, web chat, phone, etc.) the experience – and the information conveyed – is the same. If you don’t ensure consistency across multiple customer service channels, then the overall experience will be negative, which potentially negates your investment in multi-channel. This is a challenge for companies today and it will only get tougher in 2018. According to the State of Customer Service, the main objective for customer experience leaders will be to deliver an ‘effortless’ multi-channel experience. Which Topics Are Most Important for Your Customer Service Department in 2017? 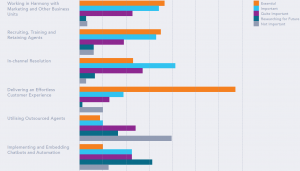 First Call Resolution (FCR) is one of the most commonly watched call center metrics. Customers and businesses both identify FCR as the top priority during interactions. And when circling back to the issue of consistency across channels, FCR becomes even more critical. Getting customer interactions right the first time, with accurate information across all mediums, ensures fewer requirements for further engagement. This increases First Contact Resolution (FCR) rates, freeing up CSRs to handle other requests. The Customer Experience Executive Report reveals that FCR is a customer’s #1 priority. 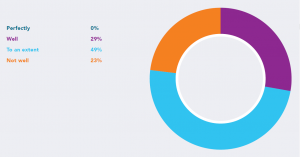 In fact, 70% of customers identify First Contact Resolution as the most important factor when interacting with a brand. Unfortunately, only 10% of organizations believe they are “excellent” at delivering on this expectation. In 2018, contact centers need to put extra efforts in place to ensure FCR is being met – regardless of the channel. 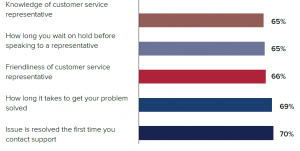 Which of the Following Are IMPORTANT When Receiving Customer Service? 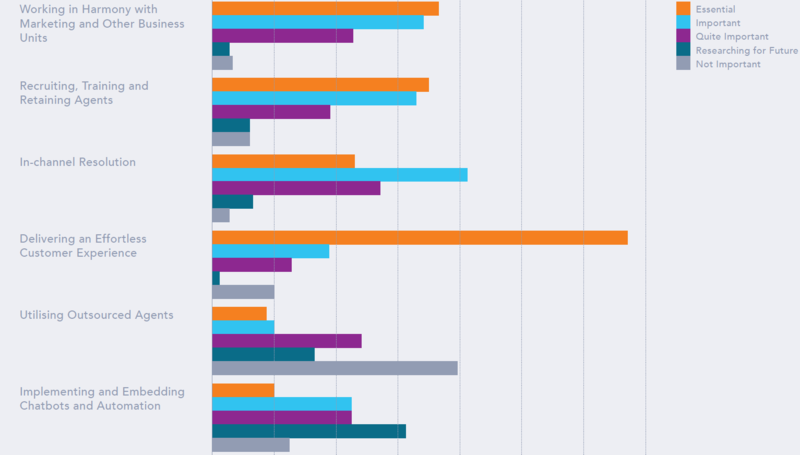 Customer service leaders tend to use a combination of KPIs to track performance, with NPS (Net Promoter Score) and CSat (Customer Satisfaction) being the most common. While these metrics are very important, they only indirectly help a company understand how the contact center contributes to financial success. According to the State of Customer Service, the ability to calculate the return on investment from customer care is a weak point. The chart below indicates the inability of companies to measure successful ROI against a customer service initiative. Only 29% of those surveyed say they could measure the return “well”. 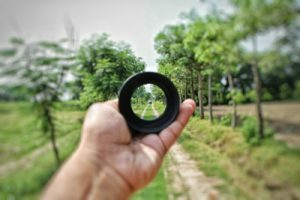 Expect executives to put more pressure on tracking and measuring ROI in 2018. How Well Can You Measure the ROI of Your Customer Service Initiative? Don’t miss the last 6 trends! Download the full report below.